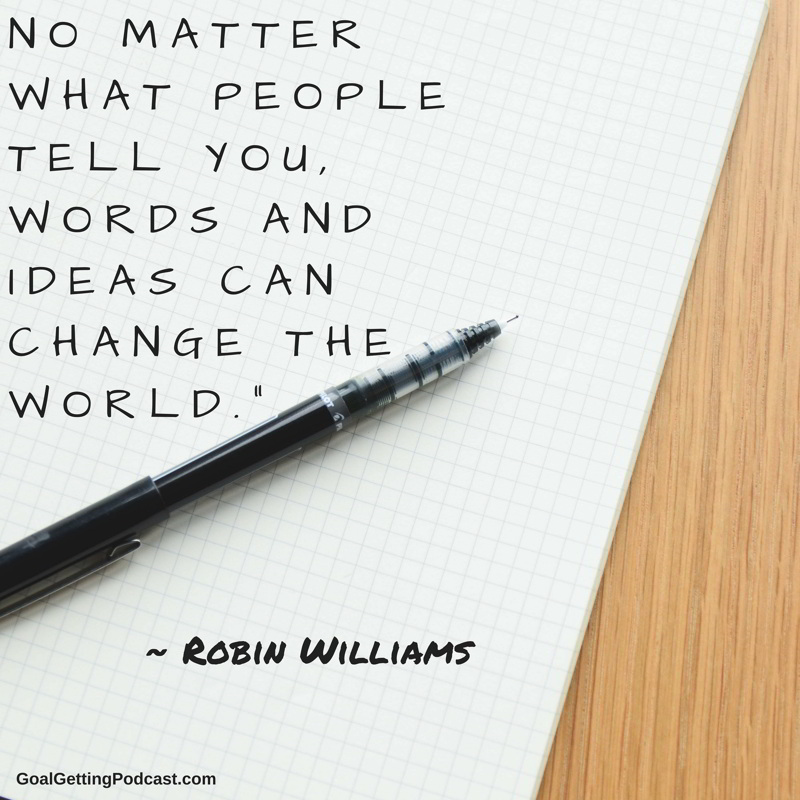 QOD-060: Robin Williams – No matter what people tell you, words and ideas can change the world. This is one of Sir Richard Branson’s Top 10 Quotes about ideas. Thanks Sir Richard for sharing great quotes that mean something to you. Robin Williams was a great entertainer, a great comedian, a great human being. He blessed us with so much laughter and thought. He has provided very profound quotes on life. He made me laugh and he made me cry, and that was all in comedy, he’s also made me cry in some of his more serious movies. No matter what people tell you, words and idea can change the world. Robin Williams and his friends changed the world with Comic Relief, a charity that used comedy to enlighten the world about homelessness. Living in San Francisco, where Robin Williams lived, worked and played, I understand his concern. When you have a big heart, like I believe he did, you can’t help but be concerned. Friends, believe him. Go out today, use your words, use your ideas. Turn them into something actionable. I’m glad you like inspirational and motivational quotes as much as I do. I want to help you get quotes like this one today and more. If you liked this quote or our others on Goal Getting Quote of the Day, we have a monthly collection of 20 AWESOME wallpaper-size images full of great quotes. For $4.99 per month or just $49.00 per Year, we will send you our monthly Quote Pack to help inspire and motivate you. Just visit GoalGettingPodcast.com/images Today and SIGN UP! Thanks for listening to Goal Getting Quote of the Day. If you like this or any of the Quotes, please leave a comment below. I would love to hear your thoughts. Do you have a favorite quote you would like to hear or see on the show? Let me know in the comments and we will give you a shout out.